You are currently browsing the category archive for the ‘William Law Primary School’ category. 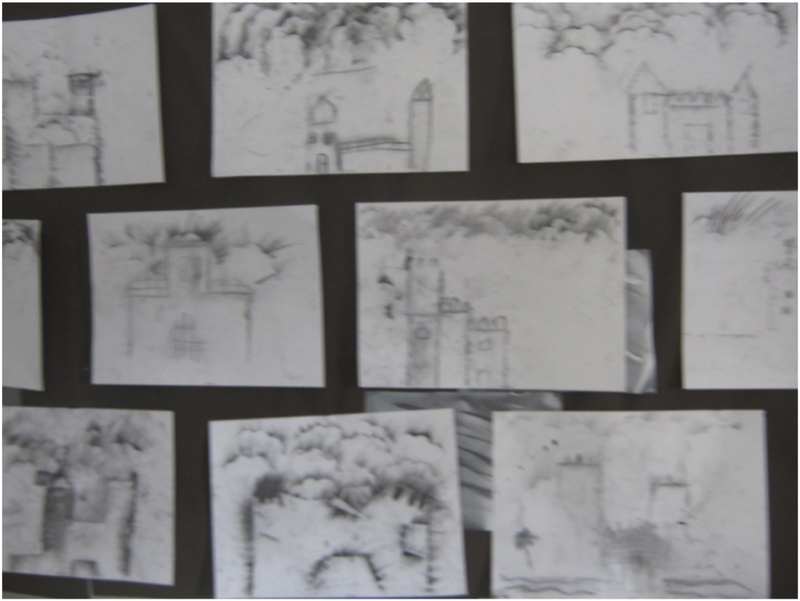 A return to William Law CE Primary School, Peterborough to lead another image making workshop using charcoal, this time working with children from year 4, but it was a session with a difference. Instead of spending the whole day at the school as I did last time when I led three workshops with 30 children, this was an afternoon session only, and I met the whole year group of 90 children all at the same time! Although I have given talks to larger groups, there is no doubt that this was an active workshop of gargantuan proportion. Contact was less personal but nevertheless the children all had their ‘listening ears’ on and responded well to my instructions. There was much enjoyment and reaction working with such a tactile material, with some successful and varied results being achieved. 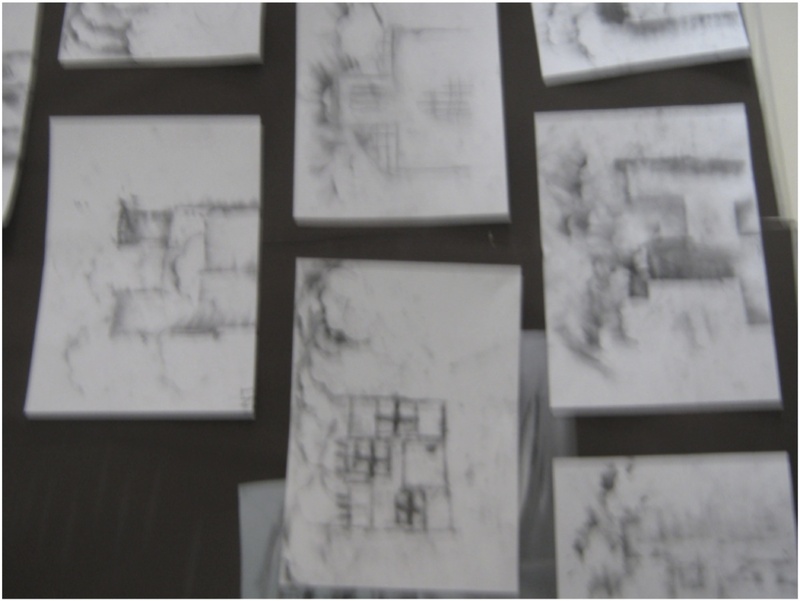 Following an introduction and some advice of how to handle the medium, a couple of drawings were generated as a conclusion – firstly a portrait of an owl and second, a castle drawn in a landscape setting. It was a daunting prospect to be greeted by so many expectant faces, I could even hear a whisper of Corporal Jones’ “Don’t panic Mr. Mainwaring” resonate in my head when I walked into the hall, but all seemed to work out well in the end.